We are very proud of our Curvaceous Costumes range, many of which are available in sizes 16-28. We know that lots of costumes made in sizes 16-28 are just 'skinny' costumes cut bigger, and that's not what people want! We also know of companies who produce garments marked as 'XL' which turn out only to be a UK size 14. How dare they! So... drawing on our 25+ years in the fancy dress industry we've cherry-picked from various ranges to bring you clothes that feel great to wear - comfortable costumes which you have told us make you feel confident, classy and sassy. 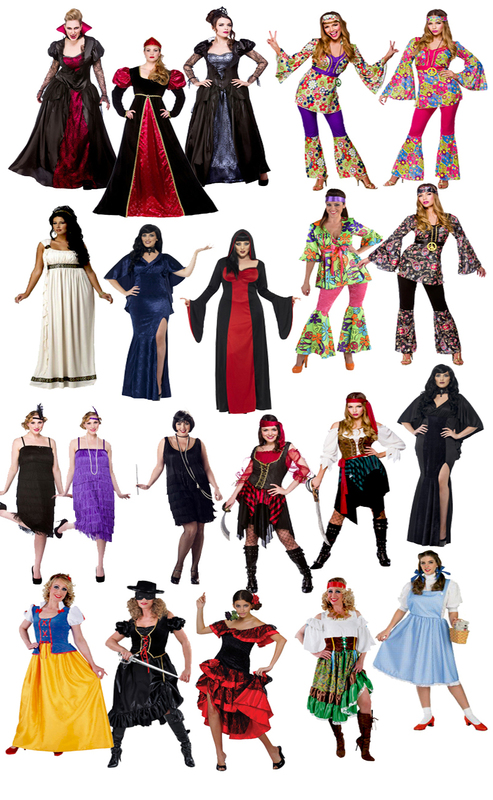 Here are some photos from our Curvaceous Costumes range, but we add new items every week, so please phone us on 01773 609616 or visit the shop for up-to-date info.